Eating with the locals, networking with the Neelys, wining at the Brooks, and more. Magellan Press, which in the late 1990s published Where the Locals Eat — A Guide to the Best Restaurants in America, recently released a revised, updated, and slimmer version of the mammoth original. The 2007 Where the Locals Eat lists the 100 best restaurants in 50 cities. "Bill King, our publisher, had the idea for the initial book and gathered a lot of the information during his travels," editor Rachel Lawson says. "It was a huge book, and we had been thinking about updating it for a while." 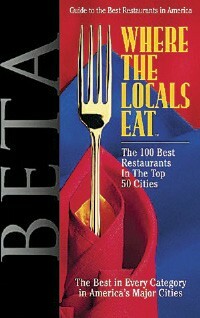 For the new dining guide, the focus was narrowed to the 50 largest cities by population. Magellan randomly sent restaurant surveys to a number of people in each city and relied on local media and food writers to fill in the gaps. In the Memphis section, Central BBQ, Chez Philippe, Folk's Folly, McEwen's on Monroe, Rendezvous, Ronnie Grisanti & Sons, and others are included. No question, it's a challenge to publish a dining book, especially when many restaurants close before their second anniversary. Magellan hopes to buffer this by soon offering an interactive website that allows users to rate restaurants, keep a list of their favorite restaurants, and chat with friends about dinner options. Patrick and Gina Neely, owners of Neely's Bar-B-Que, will debut their Food Network show Down Home with the Neelys on February 2nd at 9 a.m. The Neelys are no newcomers to the Food Network, having been featured on shows with Paula Deen, Al Roker, and Bobby Flay. February episodes of their own show include "Sunday Supper," where the couple re-create family staples such as their signature barbecue ribs and Mama's Strawberry Shortcut Cake; "Get Out of My Way," which takes a look at the foods that Gina craves, from fried pork chops and vegetable soup to grilled pound-cake sundaes; and "Courting Pat," during which Gina will cook the recipes that helped her win her husband's heart. For a schedule of Down Home with the Neelys and for more information about the show, visit foodnetwork.com. 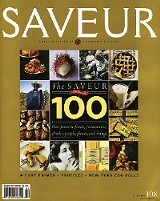 Gourmet, the national food magazine, pays tribute to Southern food in its January issue. The jam-filled biscuits on the magazine's cover may be all it takes to lure you into the kitchen to whip up your own batch or to ask Grandma for her recipe for homemade jelly. In addition to recipes for fried chicken, shrimp and grits, lemon meringue pie, coconut layer cake, oyster stew, and brandied peach pork chops, the magazine includes a previously unpublished essay by the late chef, cookbook author, and grande dame of Southern cooking, Edna Lewis, who looks at the big question of what is Southern. In its annual list of 100 outstanding food items, experiences, ingredients, gadgets, foodies, and more, Saveur, another national food magazine, placed competition barbecue as number one, claiming it as our "most beloved national pastime." Nothing new to Memphians and all those visitors who descend on the city every year for the Memphis in May World Championship Barbecue Cooking Contest. Cookbook collectors and home chefs looking to expand their library of culinary knowledge can take advantage of the Greenwood, Mississippi-based Turn Row Book Company's Chef's Library. Described as a new "culinary book club," the Chef's Library allows you to choose between the "premium library," which is a subscription of 12 cookbooks and books about food, and the "cookbook library," which features between six and eight book picks for the year. It's free to join the club. Members pay only the price of the books (average cost between $25 and $45) and a shipping fee of $6. The 2007 selections included Cat Cora's Cooking from the Hip, the Lee Brothers' Southern Cookbook, and Dave Pasternack's The Young Man and the Sea. As an additional free service, Turn Row will wrap the book jackets in splatter-proof mylar covers. A new addition to the Brooks Museum's Art of Good Taste series is its Warm Up to Wine class, which offers participants an opportunity to learn more about wines from around the world with other wine newcomers. The next class, on Thursday, January 17th, at 6:30 p.m., features French wine and champagne and includes six pours, hors d'oeuvres, and instructions on how to taste, what to buy, and how to pair food and wine. Price for the class is $25 for museum members and $30 for nonmembers. For more information and to buy tickets, call 544-6209.